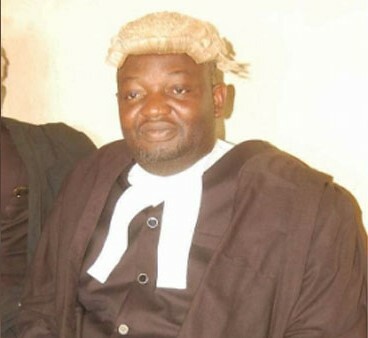 The Immediate past chairman of the Nigeria Bar Association Taraba state chapter Mr. Joel Daniel has been kidnapped. A member of his family, ThankGod Andetarang who spoke off air to Channels Television said his abduction is really a devastating one and pray God to touch the heart of his abductors to release him for the sake of his family and the entire Bar, Taraba state chapter. Whoever originated this kidnapping of a thing in Nigeria must be a devil incarnate. It doesn't seems to me kidnapping will ever stop. It's high time all states legalize immediately death sentence as a capital punishment for kidnappers the best for the system. It's very shameful and it's not really a matter of who originated it. Crime is a product of the system. If not kidnapping, it will be robbery. The system is broken and lawless, and the criminals know they will get away with it. That is why justice is very necessary. There is nothing as dehumanizing as begging for your life from a criminal..a thief or a kidnapper. It's below the standards of human dignity. I fear for our future. Perfectly said anonymous 03:24. Very true of your remark.